Most of us technonerds were (and perhaps still are) voracious consumers of the science fiction genre. From mysterious viruses to worm hole travel, interspecies bonding to invasive species resistance, utopia to dystopia, the plotline placement on an exoplanet or in another dimension made it all the more interesting. For many of us, the genre inspired and informed our path to becoming STEM professionals. For others, our STEM interests were reflected in the genre. 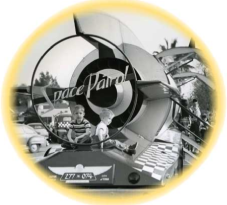 Therefore, it is only fitting that we should be excited about the Pasadena Museum of History exhibit, “Dreaming the Universe”, that focuses on science fiction and the evolution of real-world science and technology from the 1930’s through the 1980’s. “Dreaming the Universe” shows some of the connections between the histories of science and science fiction, and Southern California through all types of media: the written word, radio, television, movies, and art. Join the LAGLS posse for a leisurely afternoon viewing on Sunday May 27, 3pm, followed by an early supper at a local restaurant. Free parking in the lot off of Walnut Street, near the corner of Orange Grove Boulevard. 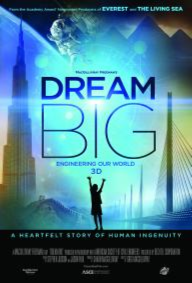 Join us for a viewing of Dream Big 3D: Engineering Our World, at California Science Centers IMAX Theater. DREAM BIG 3D brings today’s greatest engineering marvels to the giant IMAX screen. From record-reaching skyscrapers to bridges soaring above the clouds to giant tunnel-boring machines navigating beneath our cities, experience the massive scale and forces of nature that challenge their designers. Discover how imagination and human invention — even failure — turn ideas, dreams, and human needs into reality. All around the world engineers are pushing the limits of ingenuity and innovation in unexpected, amazing, and forward-thinking ways. The film, together with its outreach programs, tells the story of how engineers use science and technology to build, invent, design, and shape our world. Dream Big 3D is a MacGillivray Freeman film in partnership with American Society of Civil Engineers, presented by Bechtel Corporation. When: Sunday, September 3, 2017. Film starts at 11 am. Meet at the IMAX theater by 10:40 am. Other logistics: the film is 40 minutes long; we will go to Grinder for lunch after the film. The California Science Center has several interesting programs, including Body Worlds and the Endeavor exhibit. You might like to plan to visit them after lunch or before the IMAX film. Bring cash for CSC parking (credit cards not accepted). 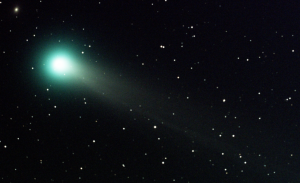 Join us at UCLA’s Meteorite Gallery on Sunday, August 28, 2:30 pm, for a lecture about COMETS by Alan Rubin, research geochemist in the UCLA Department of Earth, Planetary, and Space Science. This is a free UCLA event that we thought LAGLS people would enjoy attending, and reservations are required. The reservations deadline is August 1. To reserve your seat, follow this link to the UCLA Meteorite Gallery EventBrite page and follow the links to register to attend. The address and location map for this lecture are on the EventBrite page. The Sunday January 24, 2016 Calendar Section of the Los Angeles Times featured a fascinating article, “Sparking chain reaction of awe”, about what stories a bunch of old Rolodex cards could tell. Especially old Rolodex cards from Los Alamos National Laboratory. You know. From the Manhattan Project Los Alamos Lab. Turns out that The Center for Land Use Interpretation acquired a set of seven rolodexes from the dispersed collection of former Los Alamos National Laboratory employee Ed Grothus, who operated a salvage company of lab cast-offs known as The Black Hole. The rolodexes contain many thousands of business cards kept by some unknown office in the lab over the 1960s and 1970s — the peak of the arms race and its technological development. And they are on exhibit right now, at time of the LAGLS newsletter publication. The problem is this. They might not be on exhibit by time we get a chance to see it, which will be the later portion of March. The CLUI doesn’t know how long they will have this exhibit. But even so, there will certainly be another interesting exhibit. The Center for Land Use Interpretation is a research and education organization interested in understanding the nature and extent of human interaction with the earth’s surface, and in finding new meanings in the intentional and incidental forms that humans individually and collectively create. CLUI was founded in 1994, and since that time it has produced dozens of exhibits on land use themes and regions, for public institutions all over the United States, as well as overseas. The Center publishes books, conducts public tours, and offers information and research resources through its library, archive, and website. Physically, this is a building with a small exhibit space and a library, so it will take us less than a half hour to check it out. But let’s make a date of it for Saturday March 19, 12 pm. We’ll grab some lunch afterward at a nearby eatery. Important Update: The 11/21 10am IMAX show is sold out. If you have not already purchased your IMAX tickets, you will not be able to join us for the show. Plan on meeting us for lunch at the Grinder at 11:45am. There will be a United Way 5K Walk/Run and Festival in the Exposition Park area on 11/21/2015, with road closures, full parking structures, $15 parking, and heavy traffic. We recommend that you take public transportation to get to the California Science Center instead of driving. LAGLS will celebrate its 36th anniversary with a meal and a movie, namely, a morning viewing of Journey to Space 3D at the Imax Theater, followed by lunch/breakfast at the Grinder Restaurant. Journey to Space 3D takes audiences on a behind the scenes tour of the international effort to prepare and send astronauts to Mars within the next 20 years. The film is also an inspiring reflection on the remarkable achievements of NASA’s Space Shuttle program, including the assembly and launch of the International Space Station and the deployment of the Hubble Space Telescope. Missions like these have taught us how to live, build, and conduct science in space and helped to build the foundation for future space exploration. 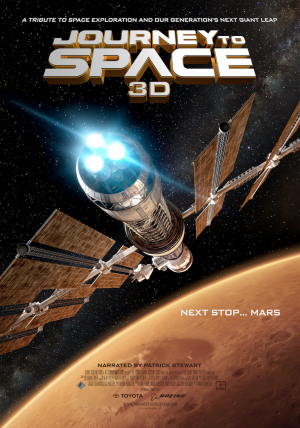 Culminating in a virtual voyage to the Red Planet on the 7-story IMAX screen, Journey to Space 3D is a celebration of space exploration, a tribute to international cooperation in space research, and a vision of our near future beyond Earth’s orbit. You are encouraged to Pre-Purchase your Theater Tickets to be sure that you can get into the 10am show on Saturday November 21. This can be done in person at the Imax box office, or on-line at the Imax ticket purchase website. Where: Meet in front of the Imax Theater at the California Science Center, 700 Exposition Park Dr, Los Angeles CA 90037 Follow this link for directions. Lunch/Breakfast at the Grinder: $12-$18/meal. Order from the menu at the restaurant (follow this link to see the menu); Dutch treat. Admit it. Your inner nerd still enjoys experiential science and technology exhibits, even those that are intended to educate and inspire youngsters. Here’s one you probably haven’t been to yet, created by the Discovery Science Foundation. The natural science oriented will be fascinated by the new Animal Grossology installation, an exhibit oozing with disgusting science. The mechanical and sports oriented will get a review on Newtonian physics with the Science of Hockey installation. Let’s take a morning to see just how Discovery Cubed helps our future scientists and engineers gain STEM proficiency and environmental stewardship. We’ll go out for lunch somewhere nearby when we’ve worn ourselves out. Cost: $10/person Paid to Discovery Cube at the box office, or in advance at the Discovery Cube website. Meet at entrance at 10 am to enjoy the exhibits together as a group. Thirty four years ago, a gay botany professor and some colleagues held an open-invitation pot-luck dinner for all local gay scientists (L,B and T inclusivity was not yet discovered). 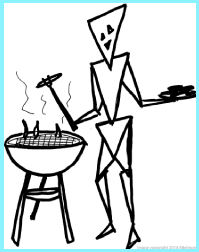 The party was filled with Qfolks from all scientific disciplines. It was difficult in those days to meet gay people — other than in bars — let alone gay people of scientific persuasion, so this was a very liberating event. The professional issues of the day were coming out, job security, privacy, security clearance, and peer networking. The social issues of the day were coming out, reconciling with our families, social tolerance, making friends, and finding relationships. Not too much different from NOW, is it? Our issues and needs are the same as they were over 30 years ago, yet it feels like we’ve made great strides for equality. Or perhaps the equality movement itself has become so ubiquitous that its common-place-ness has made us all more comfortable in our skins. Whatever it may be, do join us Sunday November 10, 10:30 am for brunch at Café Laurent in Culver City to celebrate LAGLS, advances in LGBT equality, the turning of the seasons, and the incessant march of time. RESERVATIONS REQUIRED by November 2 2013 due to limited space. Order from the menu at the event and pay LAGLS directly with cash or check for your share. Estimated cost: $20-$25. Parking cost not included in estimate. Call or email to RSVP. The California Science Center opens at 10 am. Admission is free, but you must have a timed ticket to be able to view The Shuttle. We have obtained 15 timed entry tickets to enjoy an 11 am viewing of the Space Shuttle Endeavor at the California Science Center on Sunday March 17. The first 15 people who RSVP to lagls at lagls dot org for this event will get the tickets. Additional people can take their chances (not recommended) or order their timed entry tickets on-line via californiasciencecenter.org (highly recommended). Parking at the California Science Center is $10/car, and the Metro Expo line Expo Park/USC Station is less than a quarter of a mile south of the Science Center. Follow this link for map and directions. Plan to arrive at least a half hour before the timed viewing. After we’ve had enough fun at the Science Center, we’ll go out to lunch at a local diner.